Manufacturer of a wide range of products which include plastic reinforcement mesh, grass reinforcement mesh and plaster reinforcement mesh. We are engaged in offering wide range of superior quality Plastic Reinforcement Mesh. These are manufactured using high grade wire. The mesh used in manufacturing is obtained from the authentic vendors of the market. Our team members make sure that the product is fabricated in accordance with the international quality standards. We have marked a distinct and dynamic position in the market by providing a high-quality array of Grass Reinforcement Mesh. 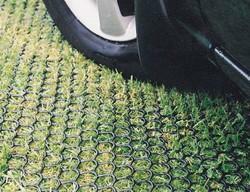 The offered reinforcement mesh is used for pedestrian and light vehicle use, overflow car parks, and airport taxiways. 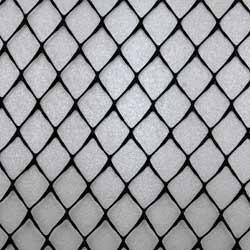 We provide this reinforcement mesh in various customized options as per the customer’s choice. The reinforcement mesh offered by us is checked on numerous parameters in order to eliminate all possible flaws. Owing to a modernized infrastructure for trouble-free processing & post-production, we are instrumental in offering Plaster Reinforcement Mesh. This reinforcement mesh is checked by quality controllers on numerous parameters in order to ensure its excellence. Offered reinforcement mesh is used in civil engineering & construction industry. Customers can avail this reinforcement mesh from us at nominal prices. Looking for Reinforcement Mesh ?